I have been a fan of Peter Bagge’s for longer than I can remember, and he was also one of my earliest guests on the show, so it’s always great to catch up with him. Peter was in Vancouver last month for the big Fan Expo convention, I took advantage of that time to sneak an interview in. It was supposed to be spotlight panel at the convention, but we didn’t think anyone was there for it, so we recorded part of it with just us talking. The sound is a little rough because we are in a curtained off area in a giant convention hall. 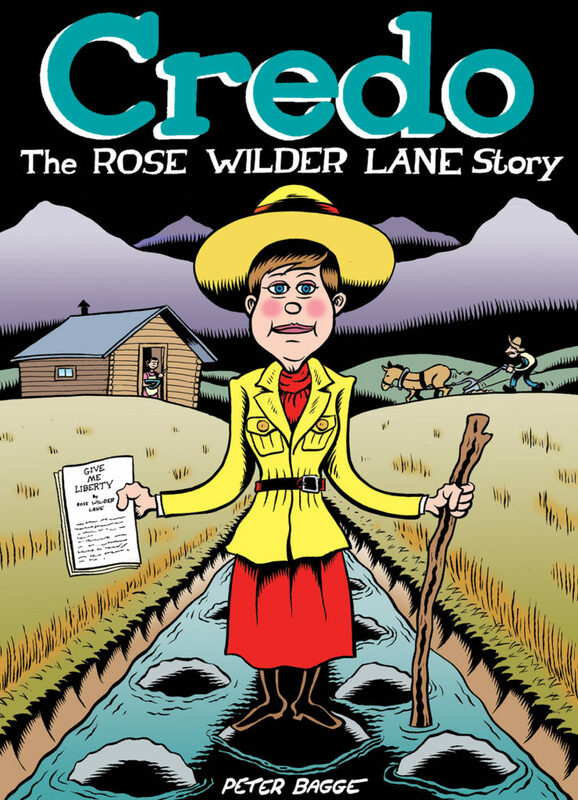 Peter’s latest book is coming out in the spring from Drawn and Quarterly, Credo: The Rose Wilder Lane Story. As well, you can catch him in Reason magazine.